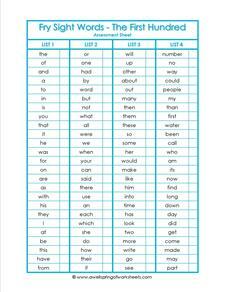 Kindergarten Fry words are the high-frequency words that are most frequently used in the English vocabulary. They should be taught first to children who are learning to read. They include words like the, and, a, I, in, is, it, etc. 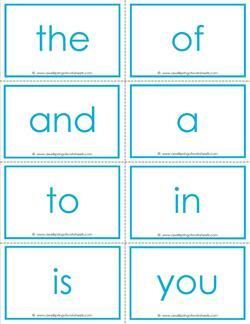 Beginning readers would have a hard time learning to read without these words to glue their sentences together! 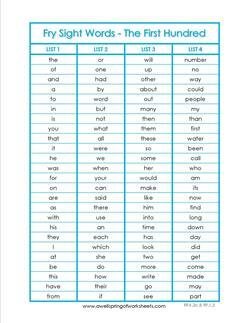 The high-frequency words on these pages are actually the first 100 Fry words. Please note that the first 50 are meant for kindergarteners and the second 50 for first graders. 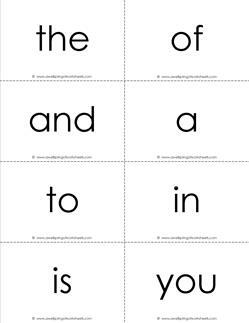 Go to this page for more kindergarten sight words worksheets, flash cards, and more!